Heart-shaped things are popular this time of year so here’s something fun for you to make for your gardening Valentine. 2” thick piece of packing foam around 8” x 12”. Styrofoam will work also but is more expensive. plastic mixing bucket and plastic to cover work surface. You can also make this out of Sand Topping Concrete Mix but it will be heavier! 1. 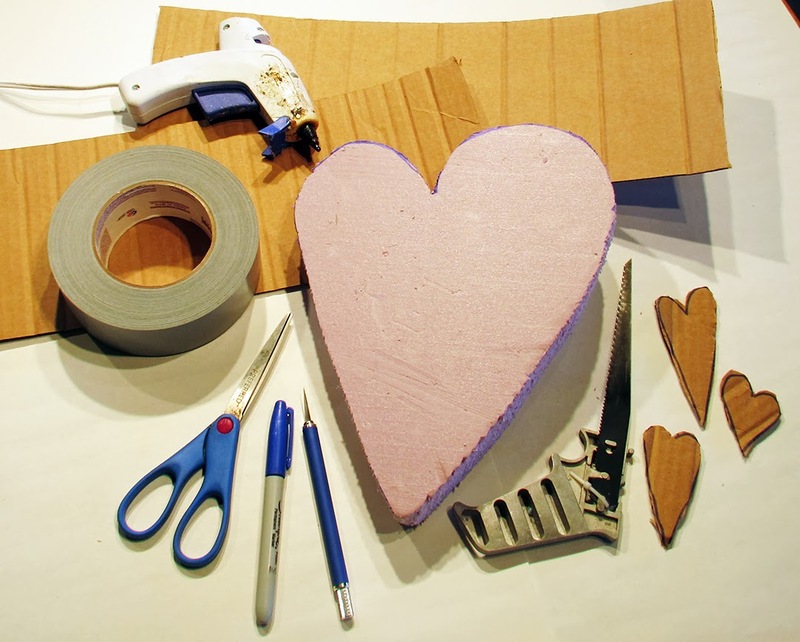 Draw a free-form heat shape on the pieces of packing foam and cut out with a small saw. This will become the base of your mold. 2. 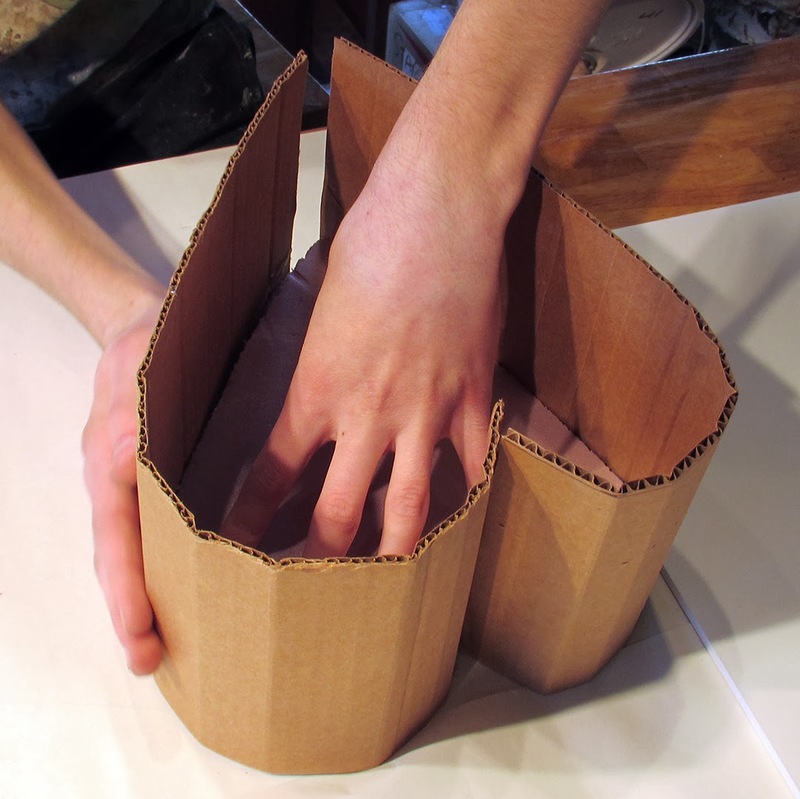 Next cut the two long long flaps off of the top of your cardboard box. Trim them down to no more than 6” wide. The narrower your strips of cardboard, the shallower your planter. Note” Be certain the corrugation is running parallel to the 6 inch wide of the cardboard. This will allow you to easily roll up the two strips. Rolling the two cardboard strips makes it easier to form the sides of the mold. where it meets the point. Repeat for the other side of the heart with the second cardboard strip. 4. Hot glue the two strips onto the foam base. 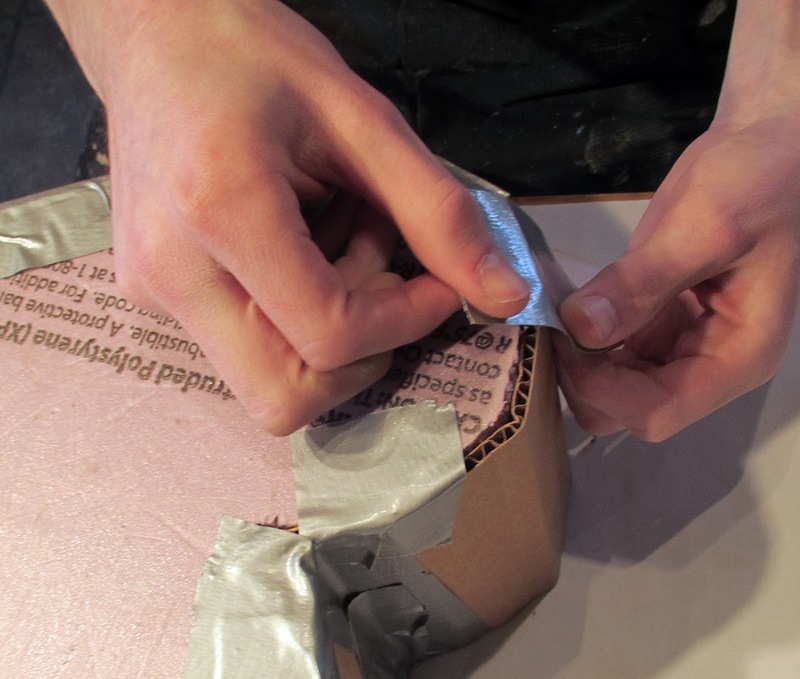 Use the duct tape to seal the bottom edge where the cardboard meets the foam and the two joints where the cardboard flaps meet. Your mold is now ready for casting. 5. Cover your work surface with plastic sheeting and put on your mud gloves. Coat the inside of your heart mold with oil using an old paintbrush. This will serve as a release agent for your planter. 6. 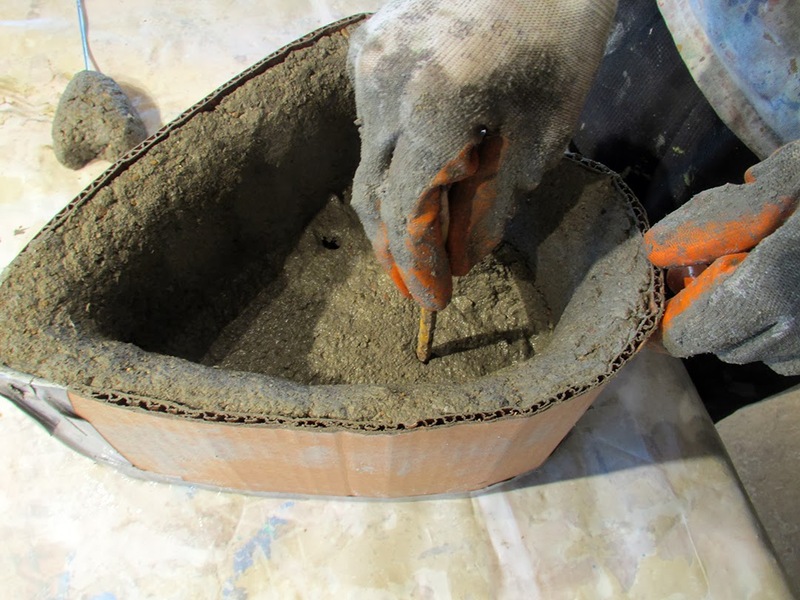 Mix up hypertufa or concrete to a clay-like consistency. Remember, add water sparingly! 7. 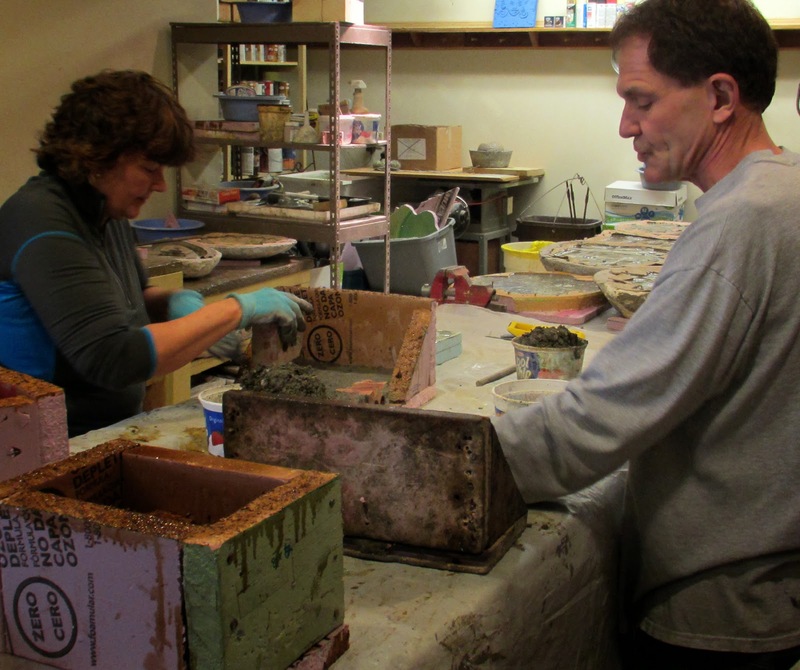 Pat a 1” thick layer of the material across the bottom of your mold. Then begin pressing it against the sides of the mold by the handful until you reach the top edge of the mold. Try to keep your sides thinner than the bottom. The finished planter will look nicer and weigh less. Three quarters of an inch is a good thickness. It helps to look at a ruler so you really know just how thick this is. 8. The top edge is very important because it is where you grab the planter to pick it up. Pay careful attention to the appearance of the top edge, making it consistent and smooth. 9. At this point you can punch drainage holes in the bottom with a pencil. It might be smarter to leave the bottom intact while you use the planter inside as a cachepot and then punch a drainage hole later in spring when you put the planter outside. Allow the planter to become stiff and cure for three to four days. 10. When your planter is completely hard, remove the mold and discard it. Use a brick to smooth rough edges to shape the planter as you please. 11. Take a trip to the grocery store or greenhouse for small plants featuring reds, pinks and whites and plant up your Valentine container. 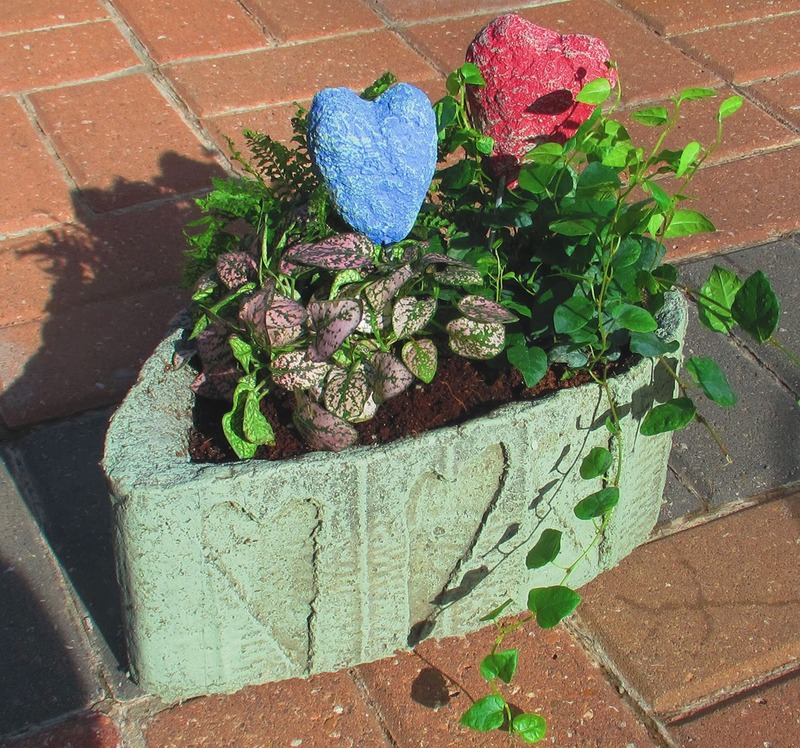 TIP: You can ornament the out side of your planter by cutting out small hearts from extra cardboard and hot gluing them to the insides of your mold. Do this BEFORE you coat the mold with oil. 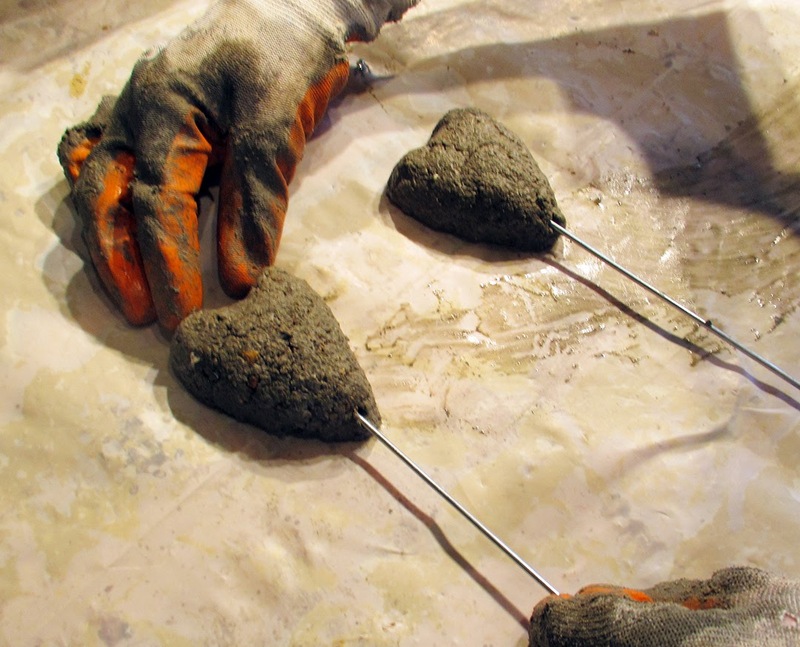 TIP: Make heart shapes from extra tufa or concrete and skewer with wire to make decorative picks to go with your planter. Popularity of the Fairy Garden trend continues to grow and evolve. Those who are not necessarily into the "fairy thang" are becoming intrigued by other aspects of miniature gardening. Our Fairy Garden Accessory Creative Workshop provides the opportunity to "do your own thing". Check out peaceinmy garden.com. Here Susi is making a unique house for her mini garden and a variety of accessories to create a miniature environment. 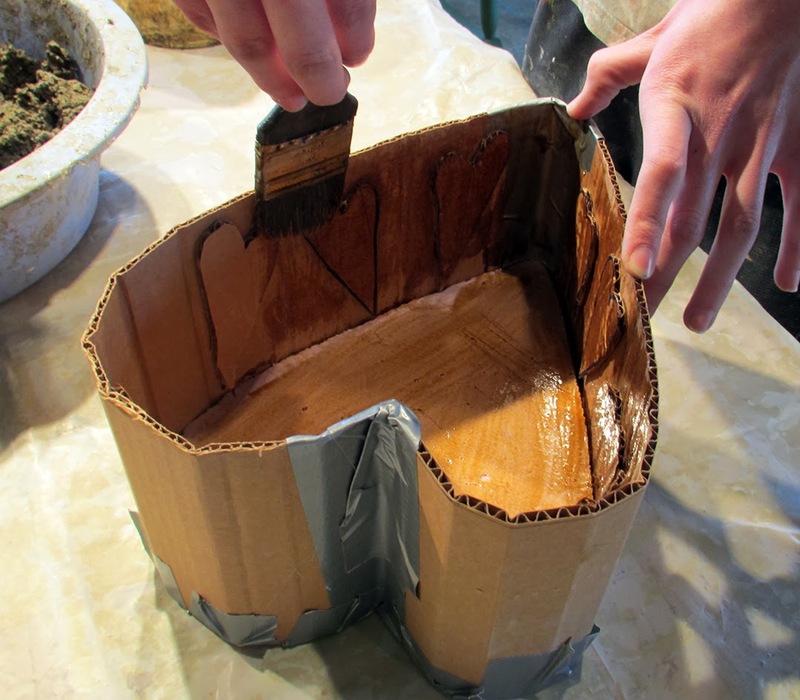 Susi packs hypetufa into the mold she built to make a roof for her mini-garden house.